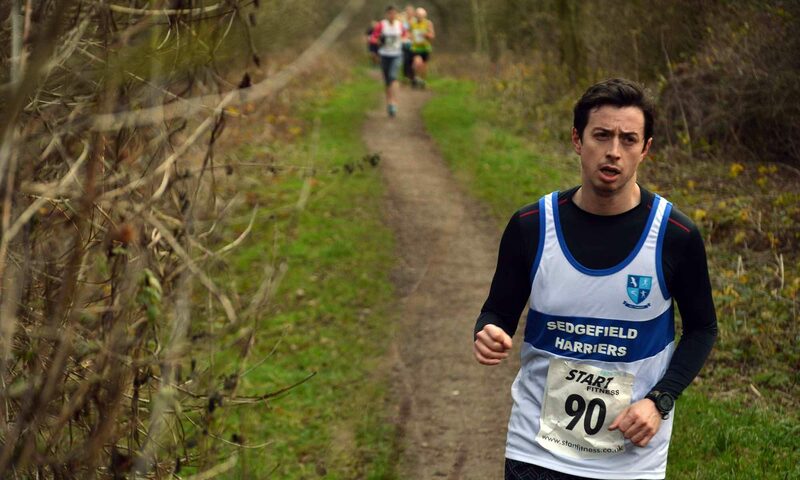 Sedgefield Harriers are a local community based athletics club based at Sedgefield Community College in Sedgefield, County Durham. There are senior sessions on most nights of the week and the main club night for juniors is Wednesday. We have a strong team of coaches working with our juniors in all athletic disciplines and with our seniors for endurance running. Our endurance seniors compete on Road, Cross-Country, Fell, Trail and Track and seniors and juniors also compete in track & field. Sedgefield Harriers came about in September 2005 when local runner Ean Parsons put an ad in Sedgefield News for anyone interested in starting a running group. Seven runners turned up at the gates of Sedgefield Cricket Club and at the end of the month on 28th September the club was formed at a first meeting in the Nags Head at which eleven people attended. In the Autumn of 2005 the newly-formed committee discussed what colours the club vest should be and the suggestion by Rosie Warnett (nee Sims) of a blue hoop on a white background was adopted. The club sought affiliation with UK Athletics and this was confirmed in April 2006. In spring 2006 coach Scott Hydon started a junior section of the club and by the end of that year there were 24 juniors and 40 seniors and Ean Parsons qualified as a coach to help out with the juniors. Scott was recognised as Coach of the Year by County Durham Sport. After a few weeks of meeting at the gates of Sedgefield Cricket Club the club decided to base itself at Sedgefield Community College because the College is a specialist sports college with facilities available. The club grew year on year and the senior numbers grew steadily but the junior numbers grew dramatically, largely because of coaching in local schools by newly qualified – and now award winning – junior coach Marie Walker. The growth of the club was so dramatic that by 2008 Ean Parsons realised that more help was needed even though the coaching staff had also grown. A ground-breaking volunteer recruitment initiative brought more volunteers and coaches to the club and enabled the growth to continue. From the start the club was keen to host events and a programme of races began including The Sedgefield Serpentine Trail Race, The Neptune Relays and the Gerry Kearsley Winter and Summer Handicaps. By 2011 there were 70 seniors and over 100 juniors and the development work of the club was being recognised by England Athletics. The main club night has always been Wednesday when there are comprehensive coached sessions for seniors and juniors. In addition there are coach led sessions on Mondays, Tuesdays and Thursdays and a group meeting to run on Sunday mornings. In 2011 strength and conditioning sessions for seniors and juniors were introduced on Monday evenings. Socially the club hosts a summer BBQ and an annual dinner in the autumn when club awards are presented. Recent speakers at the annual dinner have included Commonwealth Ultra Marathon Gold Medalist Sharon Gayter, European Indoor 3000m Gold medalist John Mayock and Olympic Marathon Bronze medalist and London Marathon winner Charlie Spedding. In September 2011 the club was recognised as England Athletics North East Development Club of the Year and Marie Walker was recognised as NE Development Coach of the Year. At the England Athletics Hall of Fame Dinner in Birmingham in Octber 2011 the Club was awarded England Athletics National Development Club of the Year and then went on to represent England at the UK Athletics awards. Unbelievably, only six years after forming Sedgefield Harriers became UK Athletics Club of the Year. In 2012 the club ‘kicked on’ in terms of development, setting performance as its goal. Senior sessions were reorganised to introduce a new challenging framework including strength and conditioning and the junior section was reorganised to enable the coaches to focus more on performance. This junior reorganisation saw the introduction of a track and field group led by coach Tim Dredge and a mini-Harriers section for 4-7 year olds led by Jane Spink. The club was recognised by England Athletics as a leading club for development support in the North East. The project for a track in Sedgefield continued to gather pace. A number of club members were able to attend the London 2012 Olympics and Scott Hydon was chosen to carry the Olympic Torch in the national Olympic Torch Relay. Meanwhile in Sedgefield the club took the lead in organising a highly successful local Village Games in recognition of the 2012 London Olympics with the aim of inspiring young people and giving a lasting memory of the Games. The club celebrated its 10th anniversary in 2015 with a series of commemorative events and Ean Parsons stepped down as Chair after ten years. In December, the club was honoured to host the NECAA Cross Country Championships on a memorable winter’s day. The club continues to grow and explore new ways of helping athletes young and old to achieve their goals in a social and supportive environment. The Harriers Club Crest was created in 2013 at a time when the scope of the club had patently developed well beyond simply being a running club. It was developed at a time when senior and junior athletes had begun to perform well in regional competitions and the club had expanded to involve many people from Sedgefield and the surrounding areas. The crest embodies the breadth of the club and a natural confidence and maturity. It is a crest that will take the club forward into the future as the club lays down a history and tradition. The silhouette human figures self evidently portray the classic athletic activities of running, jumping and throwing that club athletes pursue. The silhouette of the bird of prey in the top left hand corner represents the ‘Harrier’ in the name of the club. Research revealed that the name ‘Harrier’ used by many athletics clubs is a legacy of a popular game in Victorian times called Hare and Hounds, in which the ‘hounds’ harried the ‘hares’ in a race. The club preferred to identify with the classic bird of prey that is in evidence on the northern moors that are visible from Sedgefield to the south and west and where many members run and spend time. The motto ‘Nil Timeant’ translates from the Latin to ‘Let them fear nothing’ or ‘They should fear nothing’. This was chosen to inspire the indomitable spirit of young Sedgefield athletes as they stand on the start line in a race, prepare to jump or throw where there is no hiding place for an individual; it is also designed to inspire senior athletes to rise to the challenge of a race or as they stand at the start of a marathon.